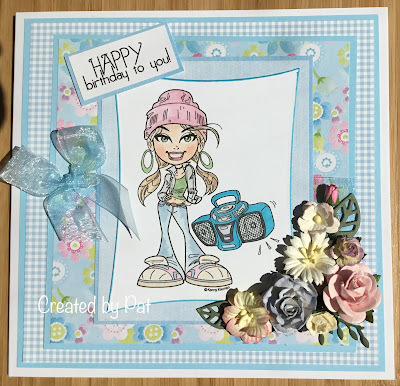 A fabulous card Pat, a great image for a youngster and pretty papers. She looks like a real diva Pat and perfect your the youngsters. Lovely 'girly' card Pat, fab image and colouring (I miss seeing these great Kenny K images around! ), pretty papers and flowers. 'Gingham' was a great idea for the challenge, thanks! Pat this is gorgeous and I love the colouring. The bow and flower arrangement just bring it together so beautifully.